Xiaomi's Manu Jain has been teasing an upcoming device which will “change the lives of the entire country, especially people living in rural India,” according to the company vice president and India MD. 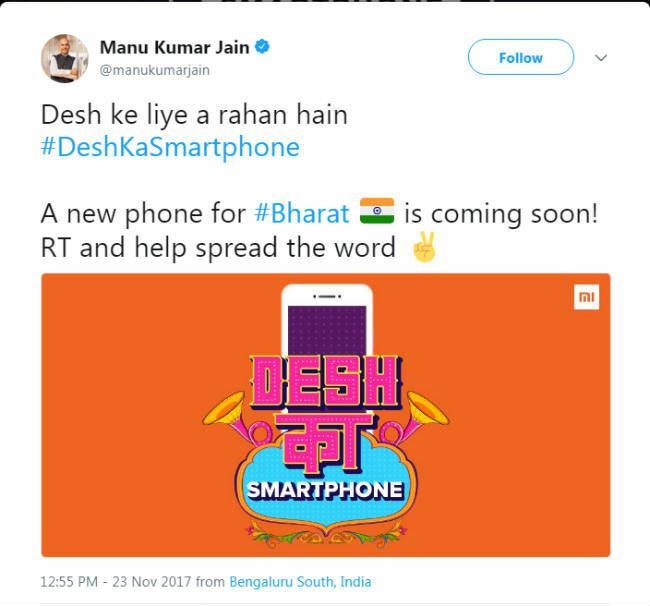 Today, Jain has once again teased the launch of Xiaomi’s “Desk ka Smartphone” on Twitter, which will most likely be a low-cost device competing against the likes of the JioPhone, Micromax Bharat and Bharat 2 Ultra and many others. His tweet all but confirms that unlike the JioPhone, Xiaomi’s upcoming “new phone for Bharat” will be a smartphone and not a feature device. 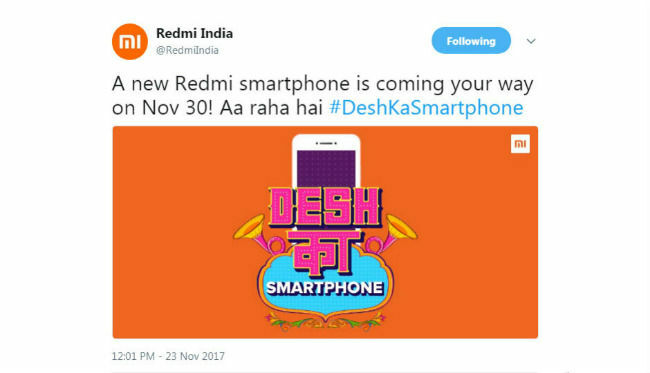 Another tweet by the Redmi India Twitter account says smartphone will be unveiled on November 30. Although the Redmi India account doesn't sport the verified blue tick, we have confirmed that the account is indeed official. JioPhone, Airtel Karbonn A40 Indian, Micromax Bharat 1: What do these low-cost 4G phones offer? Many handset manufacturers such as Micromax, Karbonn and others have launched low-cost devices in partnership with major telecom operators aimed at converting feature phone users to smartphone users. Airtel, in partnership with Karbonn, launched the Karbonn A40 Indian, which is effectively priced at Rs 1,333. Both the companies recently launched the A1 Indian and A41 Power which are effectively priced at Rs 1,799 and Rs 1,849 respectively. Additionally, Micromax partnered with BSNL to launch the Bharat 1 priced at Rs 2,200. For the Bharat 2 Ultra, Micromax and Vodafone teamed up to offer the device at an effective price of Rs Rs 2,899. Xiaomi is making great strides in India's offline smartphone market, and Jain told Digit that the company has gained the number four spot in India's offline smartphone sales space in a short period of six months. 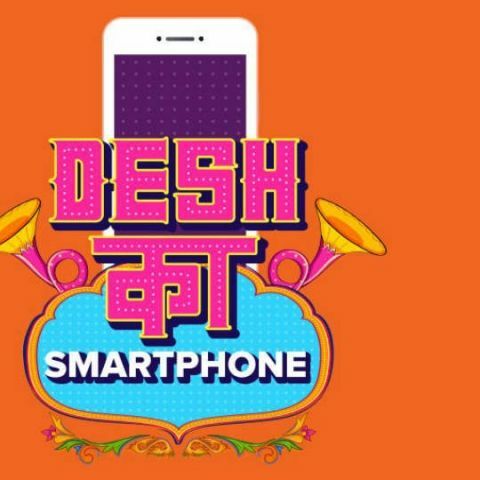 The new "Desh Ka Smartphone" from Xiaomi is also expected to be made available offline, going with the company's current strategy. If the device is launched at an attractive price and bundled telecom plans, Xiaomi will surely get the boost it needs to speed ahead in the brick and mortar smartphone retail space.